South India is a heavenly abode of enormous monuments and the grandeur of temples in South India is unique and amazing in its own way. 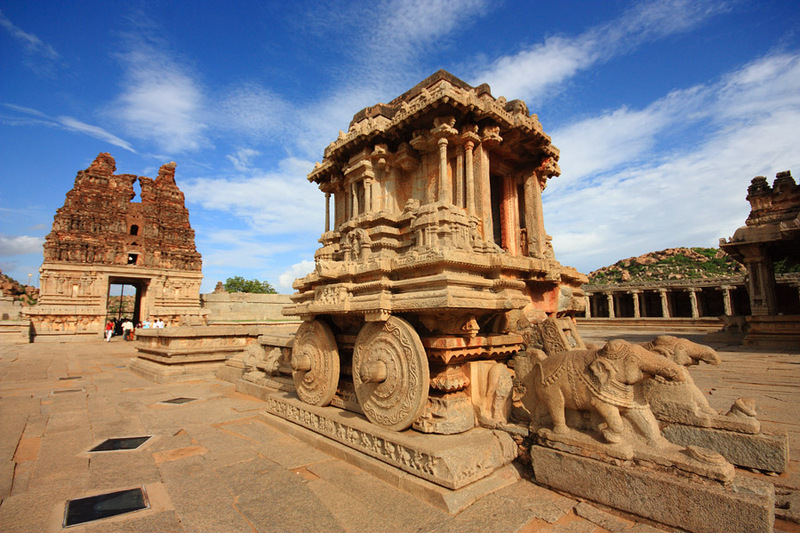 Ranging from Dravidian architecture to Vijayanagara style of architecture, each monument boasts a different tale. From intricately-carved shrines and majestic pillars, these temples offer astounding views that fetch thousands of people every year. Below are a few gems of South India that are the backbone of the rich culture and heritage of its country. 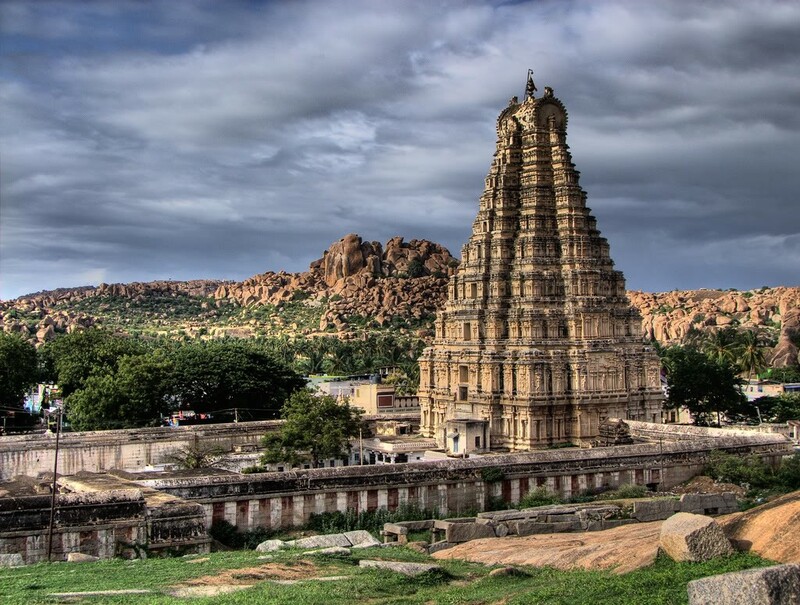 Virupaksha Temple, a UNESCO World Heritage Site, is an architectural marvel located in Karnataka. This temple is dedicated to Lord Shiva and has a huge Gopuram (a giant tower leading towards the first courtyard of the complex), two huge courtyards and intricate carvings. The Ranga Mandapa, a central pillared hall is the most ornate addition of this temple. It also has Kalayanmantapa, a 100-column pillared hall in its first courtyard. Earlier, this temple was home to only a few shrines but over the centuries, it became a complex with pillared halls, flag and lamp posts, towered gateways and a lot more. 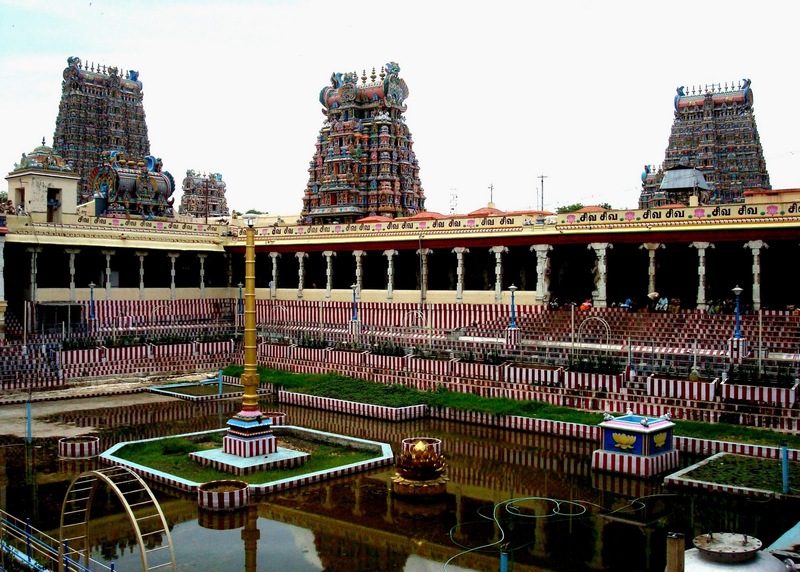 Meenakshi Temple, also called Meenakshi Sundareswarar Temple, is another temple dedicated to Lord Shiva. This temple was among the 30 nominees for the “New Seven Wonders of the World.” It has huge halls, Gopurams and shrines enriched with ornate designs. The ‘Mandapam’ of this temple consists of 985 pillars, which was earlier used to serve food to devotees, that produce music when tapped. This temple also has an Art Museum comprising of icons, drawings and photographs dating back to 1200 years. 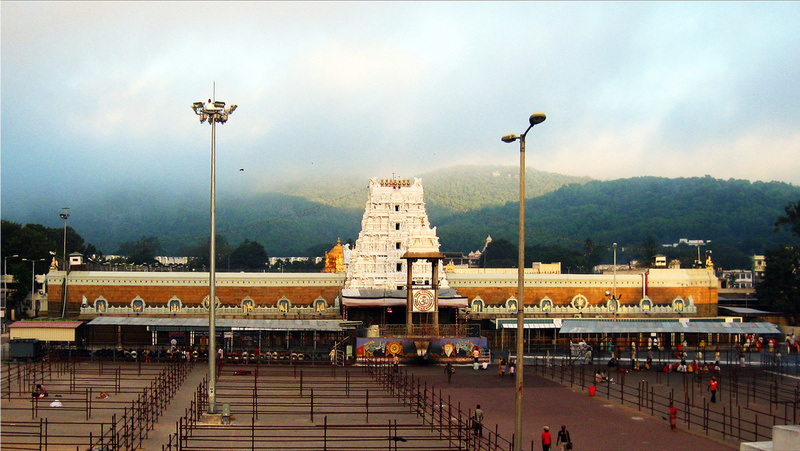 Sri Venkateswar Swamy Temple, renowned Tirupati Balaji Temple, is dedicated to Lord Venketeshwara (an incarnation of Vishnu). Its construction dates back to 300 AD. Interestingly, it is one of the richest temples that receives huge donations from devotees. Its architecture is inspired from the beautiful Dravidian style of architecture and is currently maintained by Tirumala Tirupati Devasthanam (TTD). Its history depicts the grandeur of the Pallava dynasty, the Chola dynasty and Vijayanagara Empire. Here, it is believed that by shaving their heads, devotees destroy their false pride, and imbibe humility amidst the presence of Lord Vishnu. 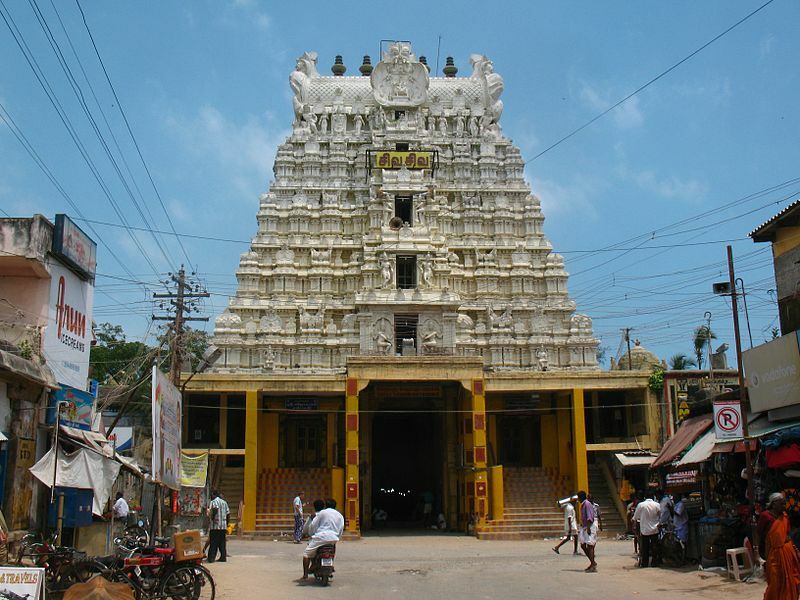 This temple houses one of the 12 jyotirlingas (forms in which Lord Shiva manifested himself). As per legends, Lord Rama stopped here before reaching Sri Lanka to seek Lord Shiva’s blessings, while he was going to bring back his wife Sita from the trap of the demon Ravan. This temple consists of about 22 teerthams in the form of water bodies. Brihadeshwara Temple, a UNESCO World Heritage Site, is a perfect example of the unrivaled supremacy of the Chola dynasty (longest-ruling dynasties in the history of southern India). This temple is yet another temple dedicated to Lord Shiva and its major attraction is the 216 feet tower above the sanctum. It has a idol of Nataraja (dance form of Shiva). An interesting fact about this temple is that its shadow never falls on the ground at noon and is the world’s first ever granite temple. The Vitthala Temple is a monument of unmatched craftsmanship. This temple is inspired from Dravidian style of architecture and boasts a beautifully-carved idol of Lord Vishnu. The fascinating musical pillars is the major attraction of this temple that fetches tourists from around the world. When these pillars are tapped, the pillars surrounding the main pillar emanate musical notes from the representative musical instruments. Also, the main prayer hall is an exquisite structure adorned with intricate carvings of warriors, horses and swans. If you are impressed by the opulence and sheer magnanimity of the temples in South India, it’s time for you to plan a trip to South India soon. 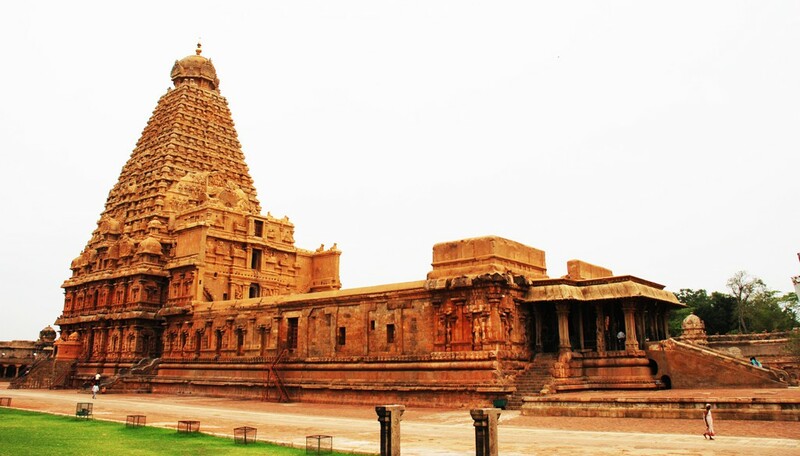 If South India is on your cards then you can check out our South India tours by visiting https://www.getsholidays.com/tamil-nadu-tour.asp to know more.